Chelsea are set to agree a loan deal for Argentine star Gonzalo Higuain, and he will replace Alvaro Morata. 31-year-old Higuain is currently on-loan at AC Milan from Juventus – but the striker is unhappy and wants to leave and join his former Napoli boss Maurizio Sarri. 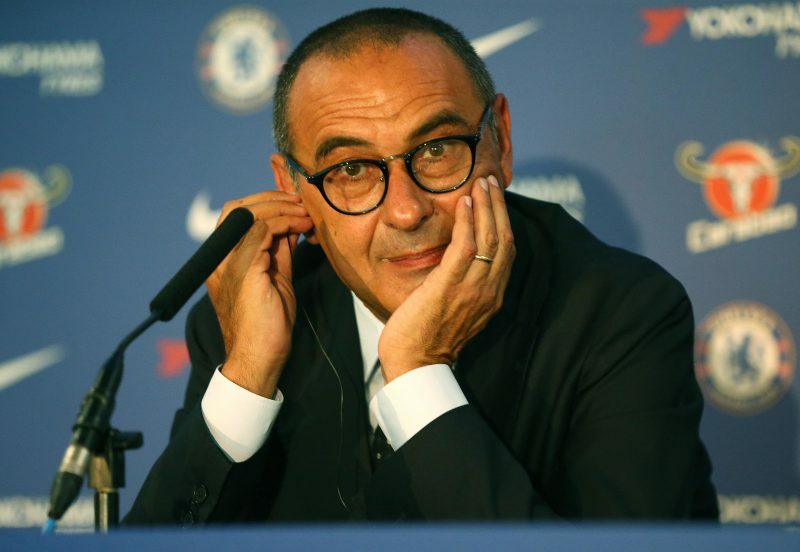 Sarri was keen on a permanent deal, as were Juventus, but given his age Chelsea were unwilling to strike a long-term agreement although the loan is understood to have an option to automatically extend – should certain criteria be met. Chelsea are in need of HIguain as they have sanctioned the departure of Alvarto Morata – who is holding talks with Atletico Madrid. The Blues have also been keen on striking a deal for Bournemouth’s Callum Wilson, but it remains to be seen whether they would be able to push through to big deals for strikers this month. Chelsea are also set to conclude a deal for Zenit St Petersburg midfielder Leandro Paredes – who is the direct replacement for Cesc Fabregas, who has been sold to Monaco. Another deal that Chelsea are involved with is over Callum Hudson-Odoi. Chelsea have made their stance known to both the player and Bayern – but they are refusing to give up. Bayern have had four bids rejected, and are not giving up – whilst the 18-year-old winger has made it known to Chelsea that he wants to leave and he has rejected their offers of a new contract, with his current deal due to expire next year. Bookmakers feel the Higuain deal is all but done and have closed the books on him, and they also feel Hudson-Odoi will end up with Bayern. PaddyPower make him 4/11 to join the German giants this month. Arsenal fear they are about to be priced out of a move for Nicolas Pepe, one of their top targets, as some of Europe's top clubs take an interest in the Lille star.